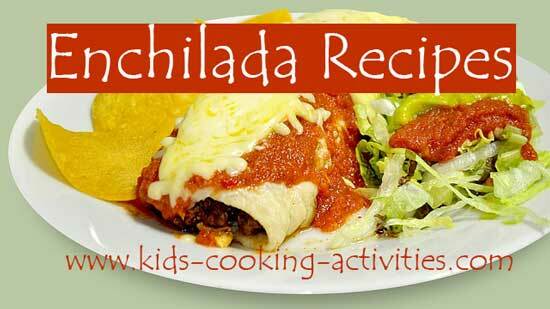 Beef and bean enchiladas can be prepared the night before or in the morning and placed in the fridge until dinner time. You can also make extra and freeze for another night. Grate one medium onion with a cheese grater into a skillet. Add hamburger and brown until no longer pink. This is a great recipe for adding hidden vegetables to the meat mixture. 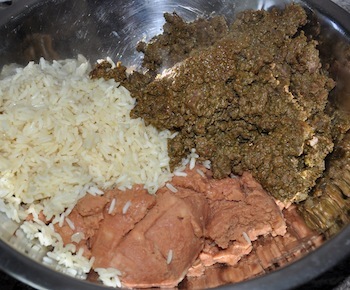 Drain and stir in refried beans and cooked rice until well combined. 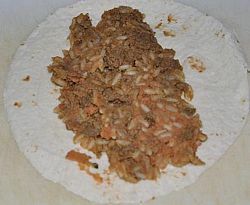 Place a large spoonful on a tortilla and roll up. Sprinkle with cheese. Place seam side down in a casserole dish. Continue with remaining mixture and spread salsa on the top. 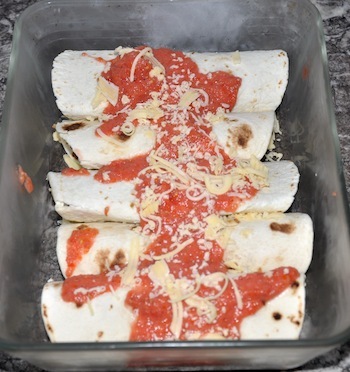 Sprinkle tortillas with cheese. Bake at 350 degrees for 20 minutes. ~Serve with sour cream, salsa or guacamole. If you are going to freeze your enchiladas flash freeze, then place in ziploc bag. When ready to cook take out of freezer place in casserole dish and bake for 1 hour. You can change the beans around by using kidney beans, chili beans, white beans or black beans in place of the refried beans. Or for more nutrition and super delicious try a variety of two beans such as refried beans and black beans. 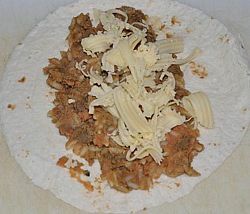 Lightly fry a single corn tortilla then dip it into Las Palmas green enchilada sauce, lay out the tortilla on a plate, spread shredded cheese all over the tortilla, add some boiled shredded chicken on top of the tortilla then you roll it up into taquito style then add a tablespoon of sour cream on top of enchiladas.